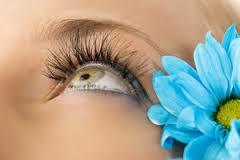 Eyelash enhancement has undergone many chances over the years. for the longest time women made use of cosmetics to darken their eyelids and brows. Mascara was a later invention while false lashes were inspired by moviemakers. Eyelash enhancement hit a high note during the last decade when eyelash extensions became all the rage. Unfortunately, this trend was not only expensive for most women to maintain, but also risky. The chemicals used in the glues, the sharp instruments utilized in the procedures and the heaviness of extensions on the natural lash meant that many women wound up with infections, pulled out lashes and a mess on their hands. In more recent years however, the industry has taken a new direction with more beauty experts recommending the use of natural eyelash growth serums. Based on age-old remedies that feature many ingredients that are in most household kitchens and pantries, some companies have formulated amazing eyelash enhancing serums that provide quality results. Some of the popular ingredients that are commonly seen mentioned on the packaging of such products include green tea, chamomile extract, coconut oil, castor oil, kelp, avocado oil, grape seed extract and aloe vera. These ingredients are not only highly effective, especially when used in concentrated amounts, but also tend to cause minimal irritation and side effects. 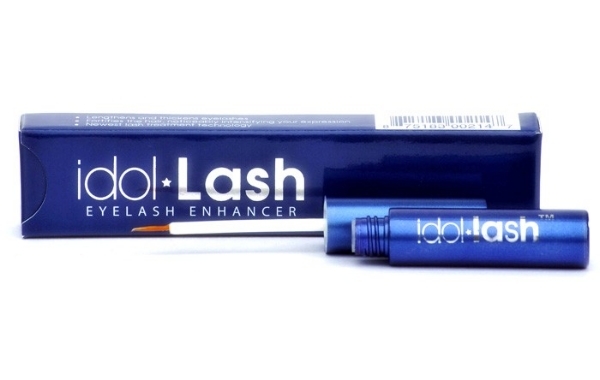 Idol Lash Eyelash Enhancer makes use of just such an all-natural formula in order to deliver the desired results of thicker looking, longer and stronger lashes. Another reason this kind of enhancer is considered the best option in today’s cosmetic market is the ease with which it can be used. As already mentioned, extension procedures can be dangerous to your health, false lashes can cause you to pull out natural lashes, while dried up mascara will make your lashes brittle. Products like Idol Lash Eyelash Enhancer are however completely safe to use because all you are doing is applying a thin film of the serum to the lashes. This application is done just once a day and can be completed in just a few minutes. The application process for Idol Lash Eyelash Enhancer begins with removal of all make up and washing of the face. Removing makeup is important because it has a drying effect when left on any longer and will make lashes brittle. It can also clog up pores for follicles that are trying to grow new lashes. The makeup can also be a barrier to the serum, which needs to be absorbed into the shaft. Once you have cleaned up your face and your skin is dried, you need only unscrew the applicator attached to the cap of the tube and ensure you have just a small amount of product on the tip. Sweep the tip across the base of your lashes, right next to the eyelids. Do this for both your upper and lower lids once. This thin application is more than enough for the serum to do its work. You can also dab a little amount along the sections of your brow where you are losing hair. Hair loss along the eyelid is commonly accompanied by hair loss along the brow. 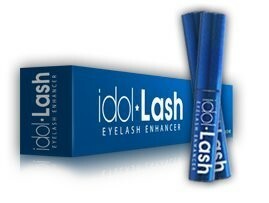 Idol Lash Eyelash Enhancer is effective for both parts of the eye. It is important to be consistent in your use of the eyelash enhancer, especially if you are looking to see results in the shortest time possible. If you skip days then know that the serum will take longer to build up. Eyelash enhancers are a very effective way to promote the growth of fuller , thicker looking and longer eyelashes. It does however depend on how one goes about not just buying them, but also using and supporting their action. Let us begin by considering how one goes about buying such products. The prescribed route is to begin by looking up top rated eyelash enhancing products. Studying reviews of these products can help you narrow down to a suitable choice. The next step to follow the correct route to buying it. Unfortunately, because of the growing popularity of this cosmetic product, more and more fakes are entering into the market. It is now considered best to buy these products directly from the manufacturer website, or through reputable big brand department and drug stores. You do not want to land an imitation that may include dangerous chemicals. Buying fakes may not be the only reason your product is not working. Every pack of Idol Lash Eyelash Enhancer comes with clear instructions on how to use the product. The best eyelash enhancers are very potent and a thin application is all you need to get the desired results. Overusing or skipping days can result in delays. It is important to strictly adhere to the prescribed instructions of use on the packaging and you should see the results promised within no time. Another reason for failure to achieve the desired look is illness. In most cases, illnesses such as hyperthyroidisms, diabetes, alopecia areata and more bring into play factors that even the world’s strongest serum cannot rectify. If you are ill, then using an eyelash enhancer to restore hair loss may not work for you. This is especially true when the hair loss is being caused by the medication you have been put on. Until you recover, or have been switched to medication that does not feature hair loss as a side effect, you should put using Idol Lash Eyelash Enhancer on hold. Dietary deficiencies are another problem. Lack of adequate protein intake or other deficiency will not only affect your overall health, but also how cells will form to create your new hair growth. In order for your hair to grow strong and thick, you need to consume a well balanced diet that provides all the necessary nutrients required for healthy cell development. The manner in which you care for your lashes can also affect how well the results will turn out. You need to treat your lashes delicately. Carefully removing makeup with gentle removers and avoiding pressing on the lashes will help encourage them to grow properly. Also avoid touching your eye area with dirty hands. Keeping this area clean will reduce the amount of dirt that will clog up pores and make it difficult for new lashes to grow out of follicles. Dirt can also be transferred by dirty bedding so make a habit of changing out your pillow covers at least twice a week. Covering up your hair when going to bed will also reduce the amount of dirt that accumulates on the cover.